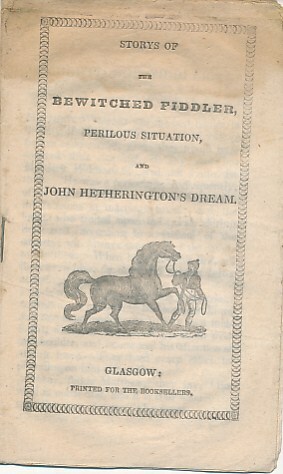 Barter Books : Chapbook : Storys of the Bewitched Fidler, Perilous Situatio, and John Hetherington's Dream. 160 x 100 mm (6 x 4 inches) - 24pp. G: in Good condition without dust jacket as issued. Stained.